After Hugo Chávez protégé, Nicolas Maduro, narrowly defeated opposition candidate Henrique Capriles Radonski in the April 14 Venezuelan presidential election, Capriles refused to acknowledge Maduro’s win. This should come as no surprise, as there were credible reports that a plan to contest the outcome of the election, should Capriles lose, had been floated within opposition circles well before election day. Despite the solid track record of the Venezuelan National Electoral Commission (CNE), Capriles almost immediately cried foul play and lodged formal complaints of election irregularities with the CNE. Although the CNE agreed to extend the audit of the ballot boxes (53 percent of the ballot boxes had already been audited on election day),  Capriles decided, after some equivocation, that these audits were not sufficient and then asked the Supreme Court of Venezuela to rule that another election would be in order. If this appeal to the Court does not go his way, which is likely, Capriles promises to take his case to the Inter-American Commission on Human Rights, which some analysts view as being partial to the Venezuelan opposition. In any case, Capriles appears to be skating on thin ice. After all, besides the impeccable record of the CNE, Maduro has been recognized by UNASUR as well as the General Secretary of the OAS. It appears that Washington stands as Capriles’s only, or least the leading champion, of his crusade to undermine the integrity of the CNE. In addition to the opposition’s attempt to delegitimize the Maduro administration, Capriles’s increasingly vitriolic rhetoric and the alleged killing of a number of Maduro supporters in the days following the election only intensified an already polarized atmosphere. These deaths still need to be investigated and those responsible brought to justice. Capriles also called for a major march on the CNE for April 17, which, for some in the Chavista camp, was reminiscent of the prelude to the 2002 coup against former President Hugo Chávez. All this made for a volatile political mix the week after the presidential election. In response to these combative actions by the Capriles camp and the perceived threat of U.S. and other foreign meddling in Venezuelan domestic affairs, Maduro braced his administration against any attempt to destabilize the country. Prior to the election he sent two U.S. military attaches packing and put his military on alert for the presence of mercenaries. After the election he refused to grant a permit for an opposition-led march through Caracas, a demonstration that Capriles subsequently called off. These measures could be considered to be defensive actions that emanated from the state. But if the past is any indicator, state resources alone cannot safeguard Venezuelan democracy. The constituent power of the Chavista base has been, and will continue to be, an all-important stanchion for the Bolivarian Revolution. An analysis of the unfolding relationship between Maduro and the Chavista base, and in particular the left wing of Chavismo, reveals the historic protagonism of the popular forces in Venezuela. This dictator-for-a-day, within hours, became the leading man of a tragic comedy. 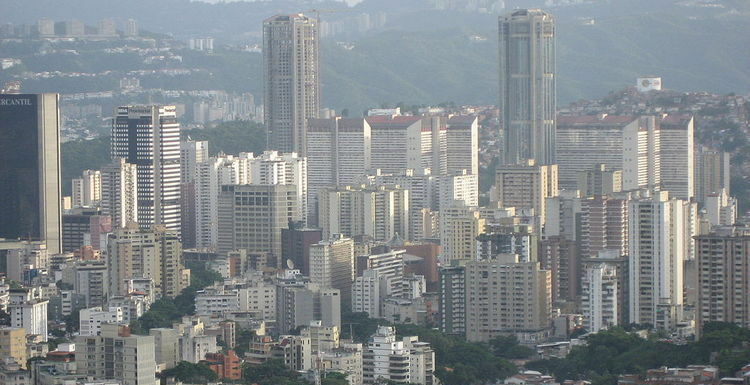 Not only did some elements of the opposition take offense as a result of the hubris of Carmona and his associates, but an estimated one million people from the barrios surrounding downtown Caracas descended upon the capital to call for the return of their president; it was this power from below that tipped the balance of forces and put loyal elements of the military in motion. With renewed access to the media, the Chavistas were able to broadcast an alternative version of events. Meanwhile, Carmona’s desperate attempts to be more inclusive came too little, too late. Chávez was restored to the presidency, and the popular forces welcomed him back with massive street celebrations. Having been restored to the presidency, Chávez exhibited a somewhat conciliatory posture towards the opposition. Nevertheless, just a few months later, the opposition resorted to an oil company lockout (December 2002 to February 2003) in a second attempt to force Chávez from power. Once again the base responded in support of Chávez, and with this backing, Chávez faced down the lock out and replaced thousands of Venezuelan State Oil Company (PDVSA) workers, solidifying state management of the publically owned oil industry. The persistent opposition, however, then wagered that in a recall referendum they would have the votes to democratically unseat Chávez; but again the base successfully rallied and on August 16, 2004, Chávez won the referendum by a 16-point margin (58 to 42 percent). It is mainly this same base that supported Chávez in four elections and one recall referendum. Ciccariello-Maher seems to privilege constituent power here, but he is careful, throughout his book, to avoid fetishizing either the state or the popular forces. Rather, the constituted power of the state is interpreted as having a dynamic relationship to a dual power. This dual power is nothing less than the political pressure brought by the relatively autonomous barrio councils and militias, informal workers, social and community organizations, and leftist political parties on the revolutionaries within the state. This pressure from below calls upon the state to promulgate and implement policies favorable to enhanced worker control over the means of production, social investment, and local self-governance. Of course, this is somewhat of an over-simplification, as neither constituent power nor constituted power is homogeneous; they are made up of a plurality of interests and political agendas. The constituted power of the state includes not only revolutionary forces, but conservative, opportunistic, and corrupt elements as well. On the one hand, this mix explains the significant accomplishments of the social missions and other programs in reducing the poverty rate and increasing access to education, housing, and food. On the other hand, this mix also explains the complaints from the base about a slide towards centralization, clientelism, and officialism. And though the military appears to be a professional force that safeguards the constitutional order and stands firmly behind the democratically-elected commander in chief, there is always the concern that traitors (those willing to sacrifice Venezuelan democracy on the alter of liberal-oligarchic interests) may be plying for influence and biding their time. To put this simply, Venezuela, strictly speaking, is not a uniformly revolutionary state, but it has revolutionary figures at the highest levels of the state who are buttressed by the constituent power of the popular forces. Indeed, as the April 14 election approached, Chávez, in death, passed over into constituent power; he belongs, in the end, to the popular sectors not only in Venezuela, but also throughout the hemisphere. President Maduro, though identifying himself as the “son of Chávez” during the election campaign, must now define himself in relation to constituent power. One of Maduro’s first trials with regard to dual power is the handling of the shortage and rising prices of certain basic food items. Basically, for the short term, Maduro responded to the shortage by enforcing laws against hoarding and by expediting food imports from Brazil and other producer countries. He has also met with the president of Empresas Polar and other domestic business executives to negotiate increases in the production and distribution of food and other goods. Further aiding local businesses, he has decided to allow price controls to be partially lifted and to ease access to foreign currency. Maduro’s negotiations with big business did not go over so well with some of the Chavistas on the left who have begun to mobilize in the barrios against rising food prices and the hoarding of supplies. In some cases, organizers with bullhorns rallied in the market places of some of the barrios and questioned why the president sits down with the business sector and makes decisions about the food situation, without first sufficiently consulting the voceros (spokespersons) of the base. The problems that we are going through, being immersed in a revolutionary process, is that within the concrete social spaces, “the revolution” often shows itself as clear bureaucratic despotism. Nicolás [Maduro] was told off very clearly recently in Los Teques, and he attacked the complainant, a phenomenon that largely explains the emerging crisis. But this also has a reason for being which goes beyond the bureaucracy. The problem is the concrete relationship between territorial realities and revolutionary construction as such. Popular power and revolutionary acts will continue being fiction while within these territories an “other power” isn’t affirmed. A power that brings about the new world and gets rid of the old one. It’s not just “a republic” that needs to be re-founded, as we announced in 1998 (it’s not an issue of constitutions, laws, new government now), in this case real territories that make up that republic have to be re-founded. Ones that are able to create hope and collective passion with the strength to overcome any collective disillusionment and the consequent reactionary regression. We need, then, a territorial strategy that area by area, the people’s self governed “other republic” can arise. The “other power” that Denis seeks to affirm is the constituent power of the relatively autonomous popular forces that Ciccariello-Maher has referred to as part of the dual power. Maduro is reaching out to this “other power” in a number of ways. 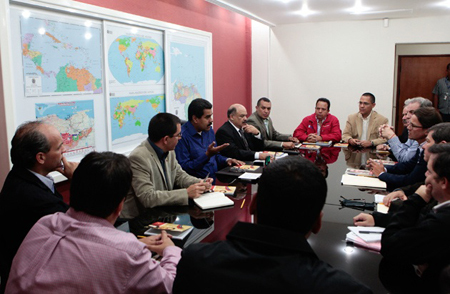 Ministers of the administration are meeting with communities around the country in a process called “street governance;” and on May 22, Maduro called for a national assembly of the Great Patriotic Pole (GPP) to meet in June. This coalition of more than 35,000 organizations represents the broad spectrum of social organizations, leftist political parties, and community associations that have historically embodied the Bolivarian Revolution. Maduro describes the GPP as a “union in diversity…in order to build the revolution’s new legitimacy, to build a stable majority.”  Maduro is moving to re-cement the relationship between constituent and constituted power that was so masterfully managed by Chávez. Denis is critically but authentically reaching out to the Maduro administration to remain attentive to the “other power.” With municipal elections coming up, it is exigent upon Chavistas inside and outside of government to mobilize the base and stop the hemorrhaging of electoral support if they want to win local elections. But there is nothing like food shortages, rising food prices, devaluation of the currency, public insecurity, and political conflict to stoke unrest. The opposition is focusing attention on these circumstances to drive home their arguments for greater efficiency, less social spending, and a less regulated market, as means for improving the nation’s economy. Up to now, Maduro has managed the political and security challenges posed by the post-election period reasonably well. But he faces a new challenge, as the narrow margin of victory reflects some loss of support from the base, the further erosion of which the Bolivarian Revolution can ill afford. 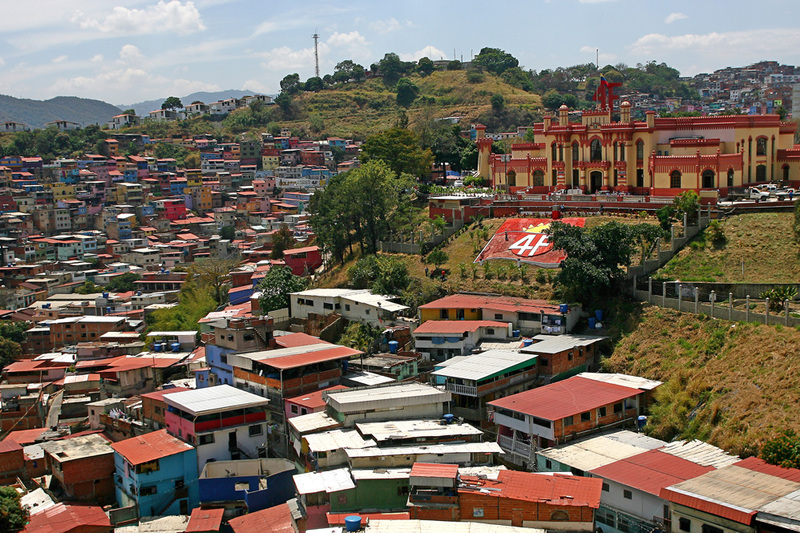 As Ciccariello-Maher points out, the constituent power of the barrios has demonstrated its enduring revolutionary potential ever since the 1989 caracazo. Today, as organizers in the barrios wage an ideological struggle within their own ranks to prevent disaffection with the democratic socialist alternative to neoliberal rule, Maduro moves to prevent any serious breach between his administration and the constituent power driving the revolution. For an analysis of the first “hot audit” of the election, see David Rosnick and Mark Weisbrot, “A Statistical Note on the April 14 Venezuelan Presidential Election and Audit Results,” at http://www.cepr.net/index.php/publications/reports/a-statistical-note-on-the-april-14-venezuelan-presidential-election-and-audit-of-results. [v] Fernando Coronil, “State Reflections: the 2002 Coup against Hugo Chavez,” in Thomas Ponniah and Jonathan Eastwood, Editors (2011). The Revolution in Venezuela: Social and Political Change Under Chávez. Cambridge, MA: Harvard University Press, p. 49. George Ciccariello-Maher (2013). We Created Chávez: A People’s History of the Venezuelan Revolution. Durham and London: Duke University Press. Hereafter cited as CM. CM, p. 90; see also p. 15. CM describes dual power as “an ongoing, tense, and antagonistic opposition to the state, straining insistently upward from the bases to generate a dialectical motion allowing the revolutionary transformation of the state and its institutions, with the ultimate goal of deconstructing, decentralizing, and rendering it a nonstate” p. 19. But later he refers to dual power as a contest between popular forces and the bosses of industry, p. 182. In the concluding chapter, dual power emerges more clearly as power from below in its transformative relationship to the state. For an insightful discussion of clientelism, patronage and corruption in public administration in Venezuela, see Gregory Wilpert (2007). Changing Venezuela by Taking Power. New York: Verso. See CM, 178, 237. For CM, Chavez was radicalized by a relationship to both the opposition and the constituent base, p. 242. Hugo Chávez, “Marcha Por La Paz Y Contra El Paramilitarismo En Venezuela,” Cadena Nacional, Caracas, Venezuela, 16 de mayo de 2004. In Hugo Chávez (2006). La Unidad Latinoamericana, p. 35. This is the author’s unofficial translation. Roland Denis, “We’ve Definitely Arrived at the Inevitable,” May 5, 2007. The original Spanish is at http://www.aporrea.org/actualidad/a165356.html. See http://venezuelanalysis.com/analysis/9357 for the English translation. July 29, 2008 COHA Comments Off on WTO Talks Collapse: Was There Ever a Future for Bananas?